One bright summer day I was out yard sailing when I came across a fabulous find, stacks of white t-shirts. 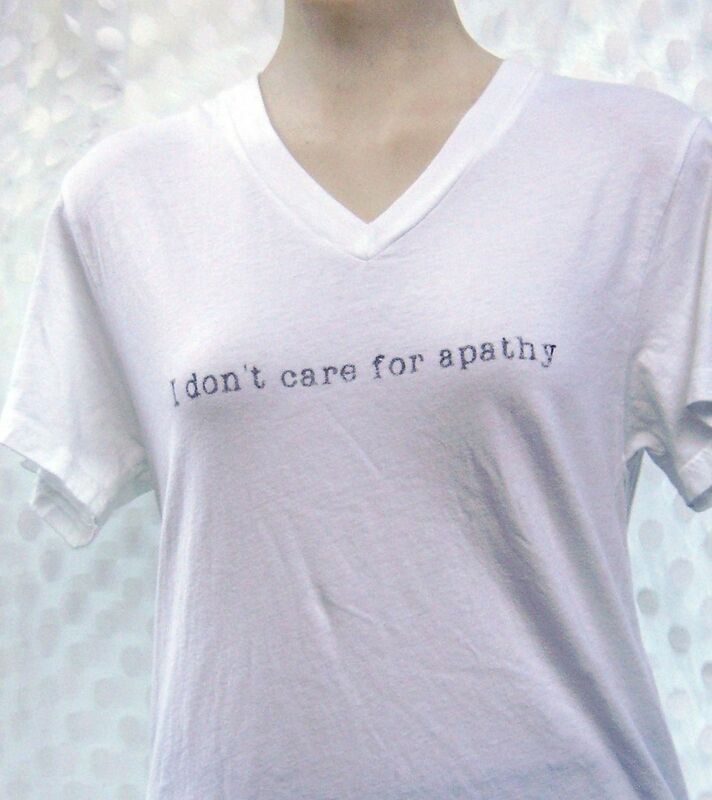 I wanted to try silk-screening and here was my chance! I have a 4-screen printing press in my backyard, that I also found at a yard sale. I call him "Doc Oc" after the villain with all the arms sticking out. Together we created some original t-shirts, out of upcycled materials. The only new thing is the ink, although I am experimenting with making my own ink. 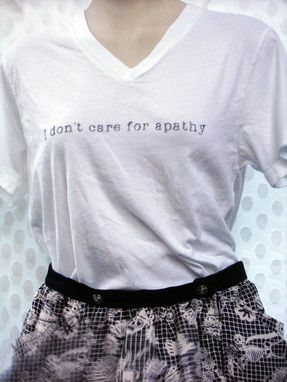 This design, "I don't care for apathy" in a distressed typewriter font, is one of my favorites. It's a saying I've had since high school, and it still gives me a giggle. Puzzle your friends with dichotomies. The t-shirt is shown with the Day of the Dead skirt.